Pencils Down, Pass the Remote: "Simpsons" cancellation: who's getting screwed here? "Simpsons" cancellation: who's getting screwed here? 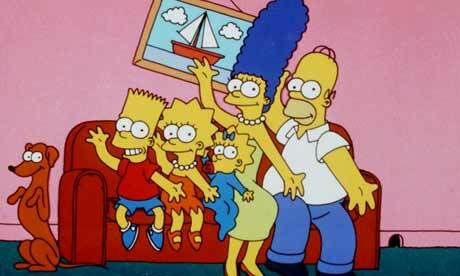 It's becoming increasingly likely that the upcoming 23rd season of The Simpsons will be its last. The increasingly contentious negotiations between Fox and the show's cast and production team must be settled by today if the show is to continue past the upcoming season, and there is no evidence that the two parties are any close to striking a deal. I'm willing to let them cut my salary not just 45% but more than 70% - down to half of what they said they will be willing to pay us. All I would ask in return is that I be allowed a small share of the eventual profits. My representatives broached this idea to Fox yesterday, asking the network how low a salary number I would have to accept to make a profit participation feasible. My representatives were told there was no such number. There were, the Fox people said, simply no circumstances under which the network would consider allowing either me or any of the other actors to share in the show's success. Shearer's depiction of the network's refusal to negotiate adds credibility to the idea that Fox doesn't want to reach a consensus in negotiations, an idea that his been widely discussed as the negotiation project has been dragged out. The reason for this is The Simpsons' syndication deal. The current deal only allows repeats of past seasons to be shown on broadcast networks; the show can't run in syndication on cable or online. According to the Atlantic, cutting a new syndication deal - which Fox can't do while the series is still under contract to produce new episodes - could earn the network as much as $750 million dollars through sale of the syndication rights. Under the cast's current contracts, they would not see any of that money. Of course, we don't really need to feel sorry for the cast; the voices of Homer and co. are currently earning $8 million dollars per season. However, Fox's refusal to give the actors a share of the show's profits is indicative of a larger issue. For those of you who remember the writers' strike as more than just "that thing that took away all my shows for half a season," you'll remember that the same issues were at stake; writers were receiving hardly any residuals from DVD sales or online distribution of the movies and TV series on which they had worked. While this wouldn't be a problem for those writers who, like the cast of The Simpsons, were already making enormous profits off their work, it was a problem for the many underpaid, underemployed writers who relied on residuals when they weren't working. Fox's behavior during these negotiations is not completely comparable to the behavior on the parts of networks and studios that led to the writers' strike because The Simpsons is a very rare case; a show that has been on for 23 years, whose syndication deal was struck at a time when cable television was not nearly as prevalent as it was today, and when online distribution of TV was not on anyone's radar. The similarities, however, should be somewhat worrisome to the industry. The writers' strike shut down film and television production for months, and it took the studios a long time to bounce back from that shutdown. What Fox is doing with The Simpsons is very similar to what studios were doing to the writers - denying people even a small share of the profits from something that they helped create. What is especially worrisome is the fact that these are actors who should theoretically have some negotiating power; they're the cast of one of the most influential shows of the modern era. If they can't successfully negotiate a contract, what will happen to the actors without that kind of clout? It wouldn't be tragic if The Simpsons were to end after this year; pretty much everyone agrees that the show is long past its creative peak, and with a full season left to go the creators would have time to plan and create the finale that they want (because a show as influential as The Simpsons really deserves a good send-off). The real problem becomes the precedent set up in this negotiation, in which even the cast of a massively profitable, very beloved show are unable to negotiate for a percentage of the profits. This precedent could have much broader implications, in which leverage in a negotiation tilts in favor of a network when a show reaches syndication age. If this precedent is adopted in other situations, it could lead to a Screen Actors' Guild strike, and no one wants that. Although, if Fox succeeds in their endeavor (which they probably will), we'll probably have lots of places to watch The Simpsons during a strike.